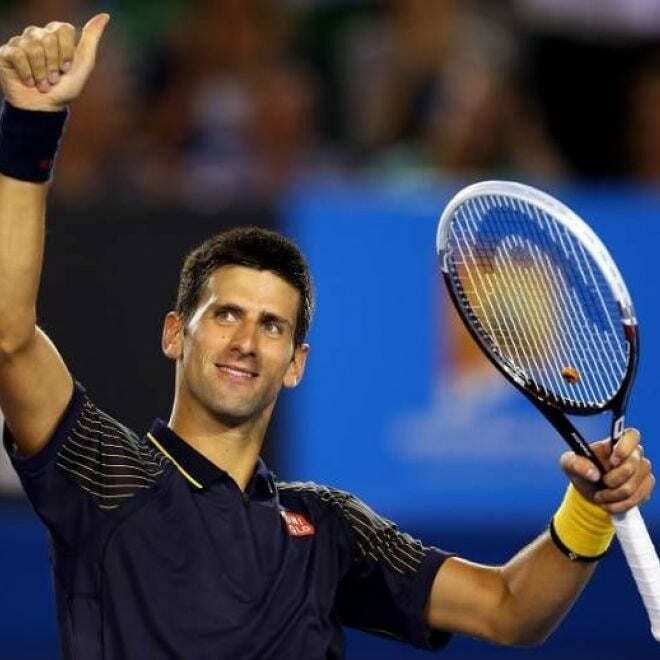 Novak Djokovic continued his string of recently-pristine Grand Slam performances as he swept aside Rafael Nadal to secure a record seventh Australian Open title. The Serb has now triumphed at three straight major tournaments, stretching back to last summer’s Wimbledon championships, and will look to hold all four Grand Slams simultaneously by targeting victory at Roland Garros in June. Incredibly, Djokovic previously achieved that feat back in 2016, and appears to be replicating the sensational form that swept him to all four majors between Summer 2015 and 2016. The 31-year old entered this year’s contest in Melbourne on the back of a surprise semi-final defeat to Roberto Bautista Agut at the Qatar Open, but showed no signs of replicating such an exit. Djokovic dropped just a single set as he eased through the opening three rounds, outclassing Mitchell Krueger, Jo-Wilfried Tsonga, and Denis Shapovalov. Kei Nishikori was then forced into an injury-induced retirement in what was fast becoming a one-sided quarter-final, before taking just 83 minutes to beat 28th seed Lucas Pouille, in the Frenchman’s first Grand Slam semi-final. Despite facing a rampant Nadal, who had not dropped a set at this year’s competition, Djokjovic played out a relatively-straightforward match at the Rod Laver Arena, overcoming one of his oldest rivals in 6-3 6-2 6-3 victory. Nadal stuttered early into the opening set, failing to take a single point off Djokovic’s first 16 serves. The Serb broke Nadal’s serve after just seven minutes. The 2009 Champion’s game was riddled with errors, as his nerves began to creep in before the first set had even been wrapped up. By by the time the contest was over the 32-year old had produced 28 unforced errors, while Djokovic racked up just nine in comparison. Having been broken early in the second set, Nadal tested his opponent when he reached a deuce on Djokovic’s serve. The 31-year old was cool and clinical however, holding to bring the score to 4-2 and then breaking the Spainard once more in easing to a 6-2 victory. Djokovic hit three aces to end the second set in emphatic fashion; The comparisons with the thrashing of Pouille just two days previously were becoming increasingly clear-cut. The final set was a more closely-fought battle at times, but Djokovic remained in the ascendancy, fending off a break point at 3-2, before preventing another potential break when he was taken to deuce on his own serve at 4-3. Characteristic of how dominant Djokovic had been throughout the 2-hour showpiece, he secured his stylish victory on his opponent’s service game. The final, billed as a Clash of Titans, at the peak of their tennis-playing powers, rapidly evolved into a display of the majestic, almost effortless quality that is Novak Djokovic on form. The Serb breezed through the match as if it were a 1st round tie, often distorting the reality that both men are currently ATP’s top two ranked male players. In a era where Federer looks close to retirement, and Andy Murray may well have graced a Grand Slam court for the last time, it seems as if the pair will, at least for a couple of years, sit alone in their own level of elite ability in the sport. While Nadal’s forte will always be clay, this performance from Djokovic surely leaves him as the undisputed favourite in all other three majors, for the foreseeable future. Djokovic himself has admitted he has his eye on Roger Federer’s record of 20 Grand Slam titles, and is far from an unlikely candidate to supersede the Swiss legend.